Welcome to Gumtree Farmstay, Oamaru. We hope you find time to visit our beautiful part of the world soon! Gumtree Farmstay - the main house offers hosted B&B accommodation for up to 5 people. The lounge room which guests are welcome to use. An example of the Continental Breakfast which is provided in the house. The Shepherd's Rest - separate accommodation for 2 adults. ​(must be booked direct through our website www.gumtreefarmstay.com to receive this deal). Gumtree Farmstay B&B is located less than a 10 minute drive from the Historic Victorian Precinct and Blue Penguin Colony in Oamaru, making us the perfect base to experience both town and country. 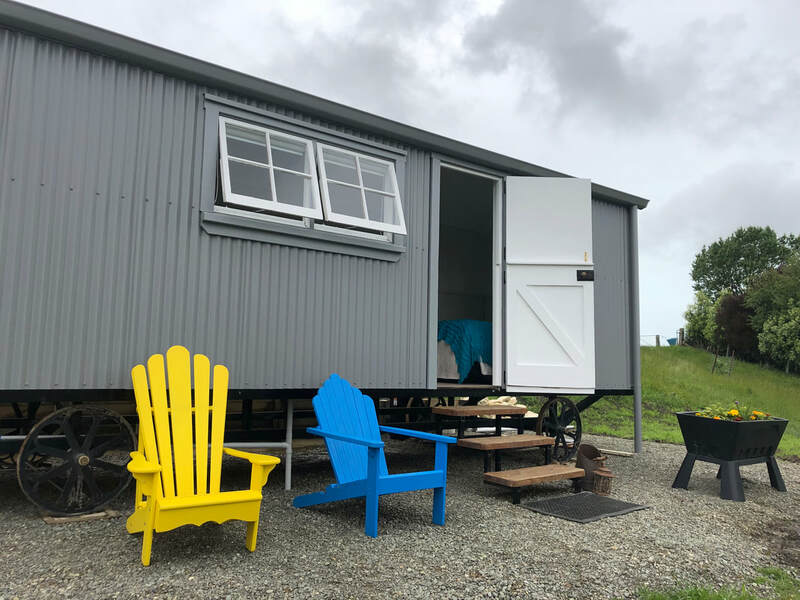 Spend a night or two immersed in the culture of a small working farm, getting to know the locals and exploring the beautiful Waitaki Region. ​We offer 2 guest rooms inside our spacious family home, surrounded by trees and gardens, on 200 acres where we fatten bulls and run a small flock of sheep. Other animals include 3 working dogs, friendly pet sheep, alpacas, chickens & ducks, Greta the naughty goat and our 2 house cats Tansy & Prim. From late August to early October we rear calves. Bottle feeding calves and lambs (in season). There is also the glamping option, The Shepherd's Rest which is separate from the house and perfect for couples. It is purpose built Shepherds Hut, a 7m x 2.4m structure on rustic metal wheels. The Shepherd's Rest has power, a kitchenette and ensuite bathroom. Option of Continental Breakfast or Accommodation only. No wifi - the idea is to disconnect from technology - we do provide board games!! Book a 2 night stay DIRECT and farm tour is FREE. For one night stays the farm tour can be purchased as an extra $25 (subject to availability). ​Things to see and do in the area include:- Explore Oamaru, the Blue Penguin Colony, Steampunk, the Victorian Precinct is worthy of a visit with its old sandstone buildings and local artisans, Farmers Market on a Sunday, Whitestone Cheese Factory, Oamaru Public Gardens, art galleries and museums. Day trips from Oamaru include Moeraki Boulders, Elephant Rocks, Riverstone Kitchen, Kurow and its wineries and the Lakes district, cycle part of the Alps2Ocean Bike Trail.